Honey is one of the world’s most popular sweeteners, and lemon is commonly used as a garnish for many dishes because of its citrus flavor. Both of these foods are often added to meals for their flavor-enhancing properties, but, they are also well-known for their numerous health benefits and their ability to treat common ailments. Although honey and lemon are beneficial each on their own, when you combine the two you will get a substance which beneficial properties will multiply many times over. This is due to the flavonoid and essential oils in lemon that superboost the nutrients in any healthy foods that are present at the same time. Read: The full health benefits of honey and lemon. Here are some common ailments that you can treat with this mixture. 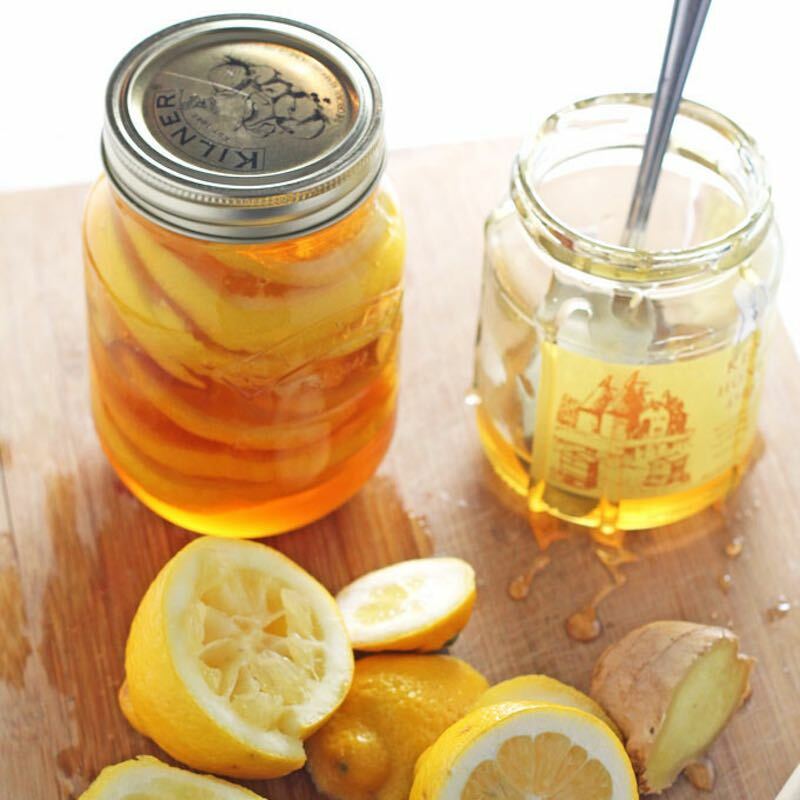 You can create an effective, all-natural cough medicine using the combination of lemon and honey. Honey has been shown to relieve coughs and symptoms of respiratory conditions such as rhinorrhea. Lemons have a high vitamin C content, which has been proven to reduce the risks of pneumonia and other respiratory conditions. Many forms of acne and types of skin conditions are caused by forms of inflammation. The mixture of honey and lemon works well to treat these conditions, as lemon contains effective anti-inflammatory properties, which will directly aid in reducing the severity of acne, while honey has effective antibacterial properties, which help prevent acne and other skin flare-ups. Lemon also shows antibacterial activity, making this mixture extremely effective at preventing skin break-outs. As previously mentioned, lemon and honey both have effective antibacterial/antiseptic properties, which make them ideal substances for treating exposed wounds. The primary function of skin is to prevent bacteria from colonizing and pathogens from invading the body. When skin is injured, leaving flesh exposed, it is important to ensure that the body’s bacteria count stays low in order to prevent the wound from becoming infected. Although many antiseptics are applied topically, you can get the antibacterial benefits of this honey and lemon mixture by ingesting it. When applying on open wound, use only honey without lemon. Both honey and lemon provide many fat-burning benefits. Honey can act as an incredibly efficient replacement for other sweeteners, being lower in calories than most artificial sweeteners and white sugar, and also provides lots of long lasting energy which can help increase performance during exercise, helping you burn fat in two ways. Lemon directly assists in fat-burning activity by improving insulin resistance and how efficiently your body metabolizes fat. Digestion problems can cause a lot of discomfort and sometimes even intense pain. Drinking a combination of lemon juice, honey and water can help aid in digestion. This combination should be drunk in the morning before breakfast, so you get the maximum benefit of its digestion-aiding capabilities. Lemon has been shown to aid in the digestion of nutrients such as fat and protein, and honey has been used throughout history to aid people with weak digestive systems. Add ginger root for its superior healing properties that heal many digestive disorders. Honey has been shown to have many positive effects when it comes to hair care. Its antibacterial, anti-fungal and antioxidant properties make it effective at treating an irritated scalp as well as helping to get rid of dandruff. It helps reduce itching and scaling of the scalp and even prevent hair loss. Now that you know all of the wonderful health benefits of this honey-lemon drink, here is how to make it! Juice from 1 full organic lemon. Slice the lemon peel into smaller pieces to be added into your mixture. Pour 5 cups of water into a stainless steel pot on stove. Turn up heat to Medium, and once water is at a low boil (just warm), add honey and stir until it is fully dissolved. Add the lemon juice and lemon peel into the water and turn off heat. Remove pot from stove and let cool. Pour into an airtight jar with the lemon peel, and store in the fridge. This makes 4 servings and keep up to 5 days in the fridge.